Detailing the physical features, habits, territorial reach and other identifying qualities of the Yellow Jacket. The justly feared Yellow Jacket is a wasp with a sting so painful that when sighted, it literally sends people in the opposite direction. 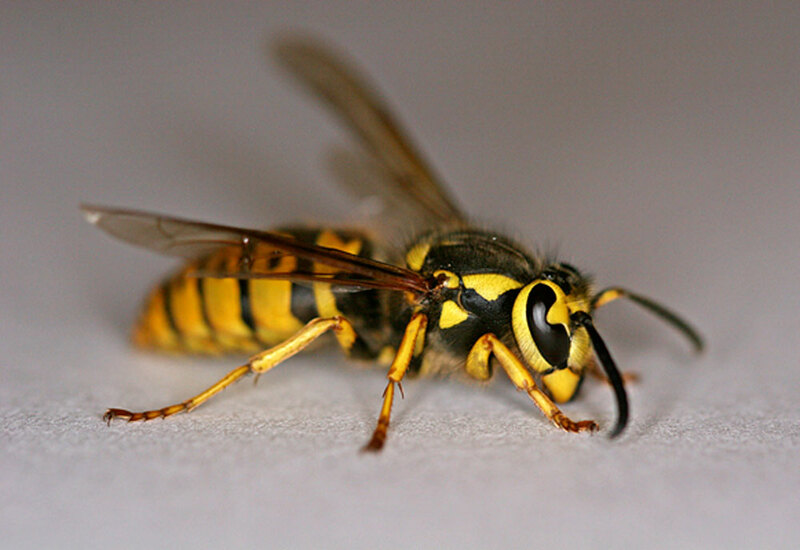 Like many wasps, Yellow Jackets are yellow and black. An Eastern (V. maculifrons) and Western (V. pennsylvanica) species of Yellow Jacket exist but there are few variations between them beyond color pattern. Recognizing one quickly will reduce unwanted contact. They are a common sight throughout all of North America, especially in the summer where food is prepared and eaten outdoors. Yellow Jackets, particularly the females, are extremely aggressive and territorial. A single Yellow Jacket stings repeatedly so avoidance is the best policy. Its venom is more potent than honey bee venom and stings are very painful. If avoidance is not possible, refraining from swatting and swinging at a Yellow Jacket is recommended. 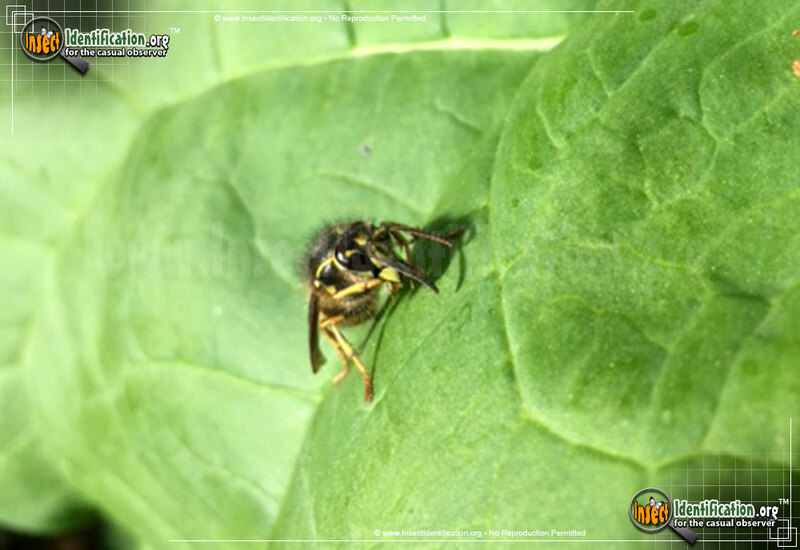 This wasp is easily provoked to attack and defend itself and a nearby nest. 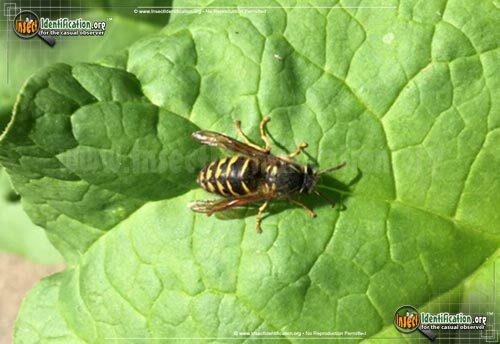 Yellow Jackets wasps are commonly found along the edges of forests and can make their hives closer to the ground than in the tree canopy like other wasps. 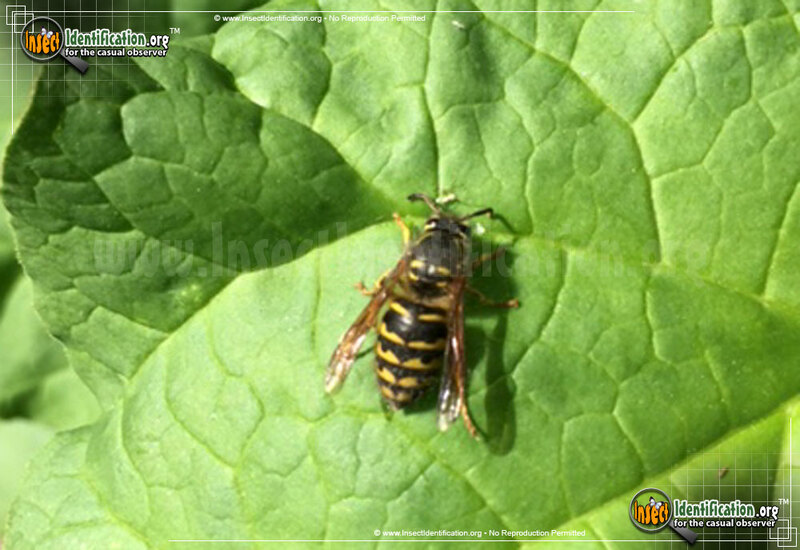 Adult Yellow Jackets feed off of nectar while other adults pre-chew insects for easier consumption for wasp larvae. A pregnant female begins nest construction in the spring, bringing about the first generation of Yellow Jackets that year later in the spring. Females from this brood become hive workers and tend to the other young produced later. By autumn, or when cold weather begins, the males die off leaving only mated females to continue generations the following year.